You are here: Home / Betting Odds / Enhanced Odds Bonuses / Free Bet Bonuses / Mobile Bonuses / Soccer Betting Odds / Soccer Betting Promotions / Sportsbook Bonuses / Sportsbook Promotions / Today’s Enhanced Odds: Win £160 on Paddy Power’s International Treble! Today’s Enhanced Odds: Win £160 on Paddy Power’s International Treble! Boost your earnings at Paddy Power with Today’s Enhanced Odds 17.00 (16/1) for tonight’s World Cup qualifiers. Make an easy £160 with a simple £10 wager by backing today’s International Treble: France, Portugal and Belgium for the win with Today’s Enhanced Odds 17.00 (16/1)! Just make sure to place your bets ASAP! Today’s Enhanced Odds expire at 19:45 BST tonight (September 6), so don’t waste this chance to up your earnings with a mere £10 bet. Belarus will take on France at home, while Switzerland are gearing up for a tough challenge against the Euro 2016 champions Portugal. And lastly, Belgium will play Cyprus away from home with new boss Roberto Martinez and assistant Thierry Henry at their side. 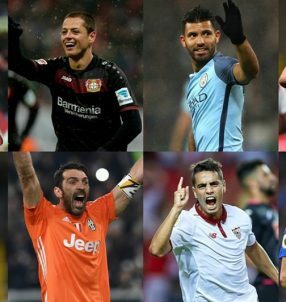 If all three of the nations win their respective games, you’ll get your funds based on the normal price on the site, while the rest of the winnings will be paid out in Free Bets that will take the total earnings to the 17.00 (16/1) odds with Today’s Enhanced Odds! Note: this offer is only open to players coming from the UK and the Republic of Ireland. “We have to get off to a good start and try to impose our qualities from the outset so that we don’t have to worry at the end. We know Switzerland are a strong team and they’re playing at home so it won’t be easy,” said former Manchester United winger Nani. After Portugal lifted the Henri Delaunay trophy following their victory over France in the Euro 2016 final, Nani stressed the natural step is to aim for even bigger glory, and that’s the World Cup title. 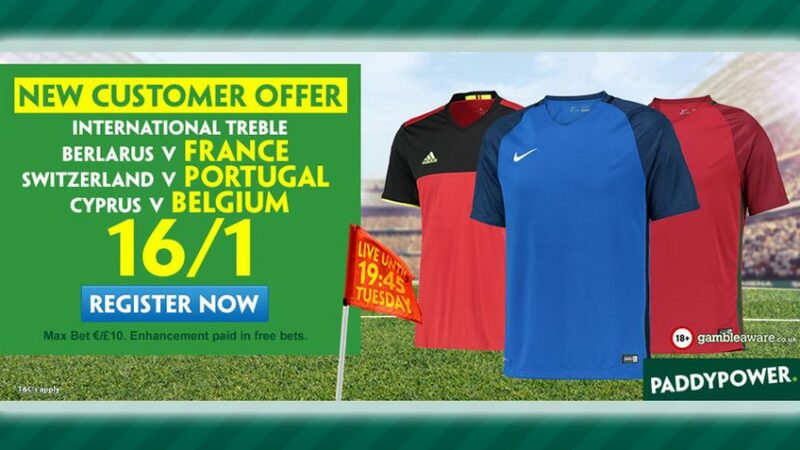 Open an account with Paddy Power and bet on the France, Portugal and Belgium with Today’s Enhanced Odds 17.00 (16/1)! Earn up to £160 with Today’s Enhanced Odds!